How Does Insulation Conserve Energy & How Much Do I Need? Insulation may not sound like the most exciting topic. But if lowering your heating and cooling costs while being more comfortable at home is something that grabs your interest, it’s … READ MORE How Does Insulation Conserve Energy & How Much Do I Need? 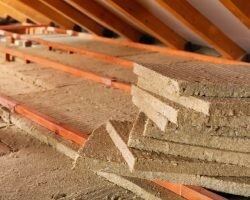 The post How Does Insulation Conserve Energy & How Much Do I Need? appeared first on Direct Energy.